You probably already know there are over 7 billion people on the planet right now, but a number like that is fairly incomprehensible for most of us. 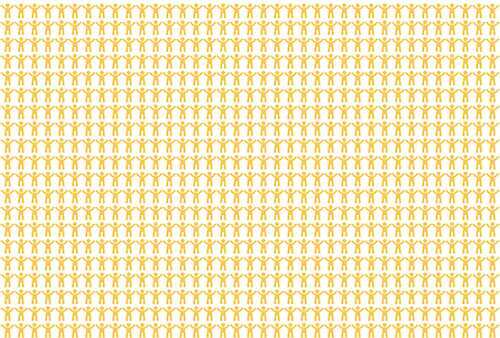 7BillionWorld is a website designed to give a little more perspective on this reality with an page dedicated to visualizing each and every human on the planet, in miniature. “7 Billion people so beautifully displayed together on a single webpage is a visual testament of the human condition of every single one of us, and all of us together, on our planet earth. Developing company Worldometers chose the colors representing the people of each nation according to the original colors of the five Olympic rings. The page as a whole is about a mile high and 800 feet wide, and if they keep adjusting the total to keep up with upward population trends – expected to reach 9 billion people by about 2050 – it will get substantially bigger. I’m sure most of us don’t have the patience to scroll for an entire mile, but that doesn’t make the perspective any less present. And of course, you can buy a t-shirt!